CAPA is set to play an important role in recovering cash for the creditors of Monarch, after the airline entered administration. Monarch Airlines Ltd, which flew passengers to more than 40 destinations from the UK, and Monarch Travel Group Ltd, which offered package holidays, were placed into administration in October 2017. The two firms employed more than 2,000 staff. Both companies had suffered a sustained period of trading losses due to mounting cost pressures and increasingly competitive conditions in the European short-haul market. These trading losses and conditions eventually tipped the businesses into insolvency. Blair Nimmo, Jim Tucker and Mike Pink, of KPMG, were appointed joint administrators to the two companies on October 2 and they have now instructed CAPA to undertake property and accounts payable audits on both firms. This means CAPA will undertake a full property audit on 16 sites – 13 at Monarch Airlines and three at Monarch Travel Group. An accounts payable audit will also be carried out on the two businesses. The instruction will involve a forensic analysis of Monarch’s property outgoings and data on invoices owed to the companies. The airline operated from five UK bases - London Gatwick, Birmingham, Manchester, Leeds-Bradford and Luton. 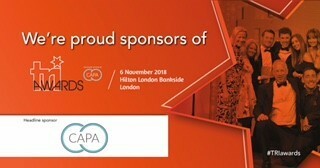 CAPA’s auditors will use bespoke software to uncover multiple elements such as errors in utility bills, or ‘overspend’ by the two companies on various payments. This in turn will help generate cash to pay the creditors of both Monarch Airlines and Monarch Travel Group.